Home / Adviart Blog / Live life. Take chances. Live life. Take chances. 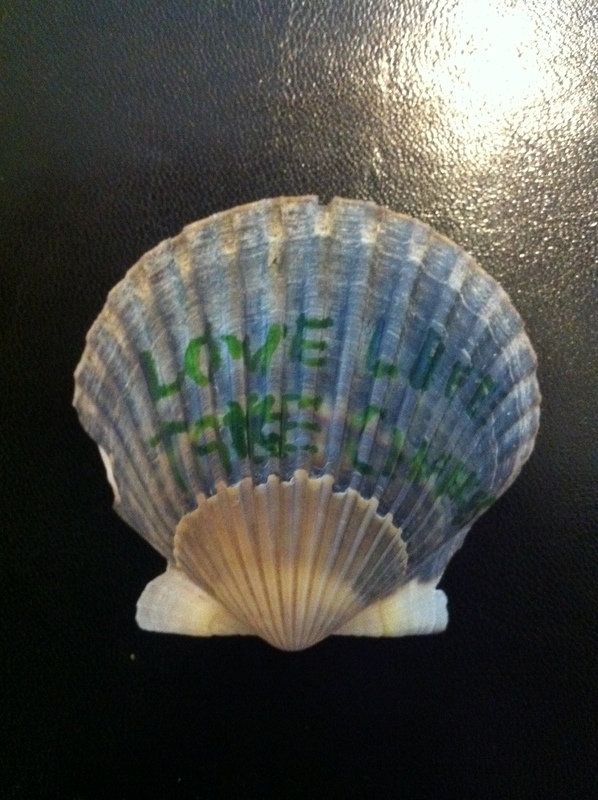 The top of the shell was used to display the advice in bold, green, capital letters. The other side of the shell continued to have sand from the beach on it but the front was sand free. This adviarter lives by this advice each and every day. This adviarts sits in my mind as two completely independent pieces of advice mixed into one. I agree that you have to live life–not just from a definitional standpoint but also from the fact that life is worth living and should be lived to the fullest. Taking chances allows you to live life to its fullest–without changes, we can learn from success or failure. However, I’m not sure that you need to always take chances to live life. I think there is a time and place for take a chance in life. How do you take chances? Do these chances make you feel like you are living life more?